Salsa, one of America’s most popular foods, may also be one of its oldest. Most grocery stores have large salsa sections and chefs have churned out entire cookbooks about salsa. At its most basic, salsa is a combination of an acidic fruit such as tomatoes, tomatillos or mangos, onions, chilies, sweet peppers and sometimes other spices. It takes minutes to make in a blender, it can be made mild or spicy depending on your preference, it is low fat and it tastes delicious on a variety of foods. The most ubiquitous use of salsa is as an appetizer with chips at Mexican restaurants. It also is delicious in tacos, burritos, fajitas and tostadas, on or in enchiladas and taco casseroles, on soups and salads, Mexican-style pizzas, grilled meat, poultry, fish or shrimp. Chilies were domesticated about 5200 B.C. and tomatoes around 3000 B.C. 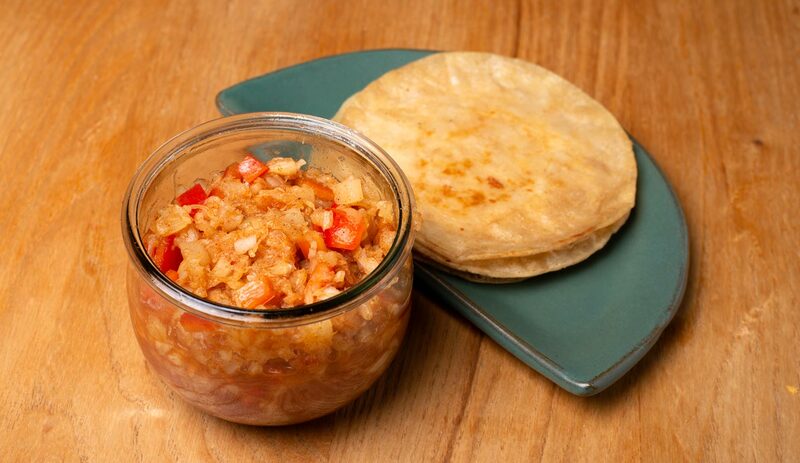 It is not known when they were combined, but experts know that a version of salsa was made widely in the Americas. The Aztecs and Mayas in Mexico and the Incas in South America ground chilies, tomatoes, squash, beans and sometimes other ingredients together using a mortar and pestle and used the mixture as a condiment on venison, turkey, lobster and fish. A Spaniard, Bernadino de Sahagun who lived among the Aztecs in Mexico after the Spanish conquest, compiled information about Aztec life, including foods and methods of food preparation, in a book he wrote in 1569. He described the making of the sauce-like combination of tomatoes, chiles and other spices, although he didn’t call it salsa. Another Spaniard, a Franciscan priest named Alonso de Molina, dubbed the condiment “salsa,” derived from a Latin word. He had grown up playing with Nahuatl-speaking children in the Aztec capital of Tenochtitlan as it was being rebuilt into Mexico City and he wrote a dictionary of the Nahautl language in 1571 that included salsa. Salsa became known in the United States much later, in the 1800s, but was not manufactured until 1916 when La Victoria Foods and Charles Eraths Louisiana Pepper started to produce it in New Orleans. La Victoria Foods began to manufacture salsa in Los Angeles the next year. In 1941, La Victoria Foods launched a new line of salsa for Hispanic foods and salsa took off. Competitors soon launched their own lines of salsas. A Mexican food craze in the 1980s increased salsa sales by 71 percent until more than a third of Americans were buying salsa regularly. The rise in the number of Mexican restaurants during the 1980s also helped make salsa a standard grocery item. Americans now spent $767 million on salsa. It ranks with ketchup, mustard and mayonnaise in popularity. 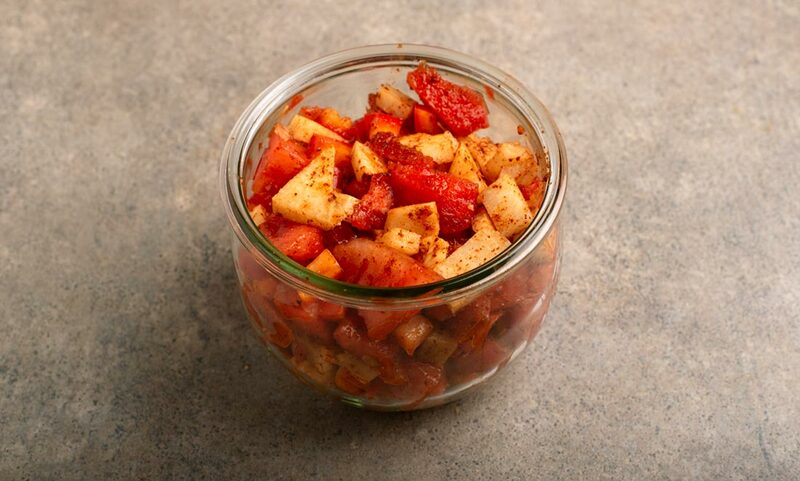 Tomato salsas are by far the most popular, but almost any fruit makes delicious salsa. Some of the best salsas don't contain tomatoes. Here are recipes for some of them. These are easy dishes that dress up a holiday meal. By changing the colors of the peppers - red, yellow or green as desired - you can adapt them to various fall and winter holidays. 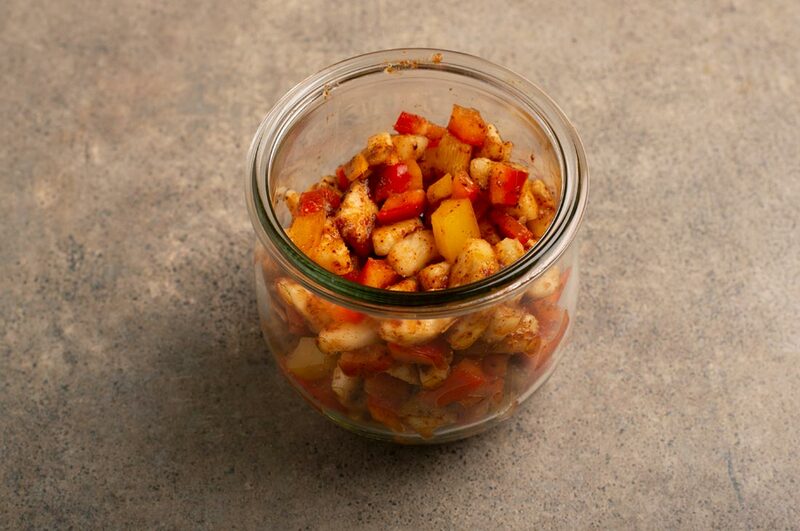 In a bowl, combine pineapple, red bell pepper, cilantro, onion, chili powder, garlic, and lime juice. Stir. Season with salt to taste. Add 1/2 cup chopped and peeled cucumber. 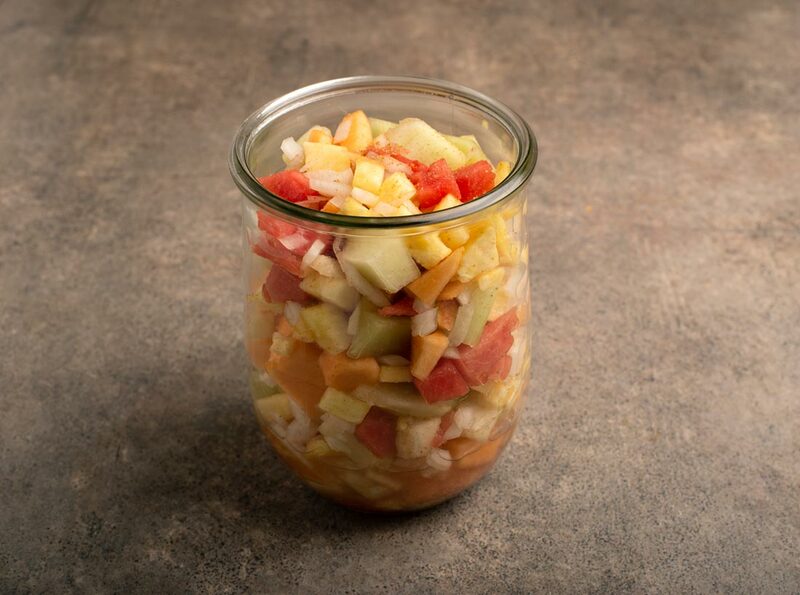 For Hawaiian Pineapple Salsa - Substitute 1 tsp. sugar and 2 tsp. rice wine vinegar for the lime juice. Next to tomatillo salsa, mango salsa, shown above on a shrimp taco, is my favorite . It is delicious on just about anything. Gently mix all ingredients except cayenne and salt together. Chill, covered in refrigerator, for and hour or two if possible. Add cayenne and salt before serving. Mango Jicama Salsa - Add 1 tbsp. chopped cilantro, 1/4 cup minced peeled jicima and eliminate the olives. 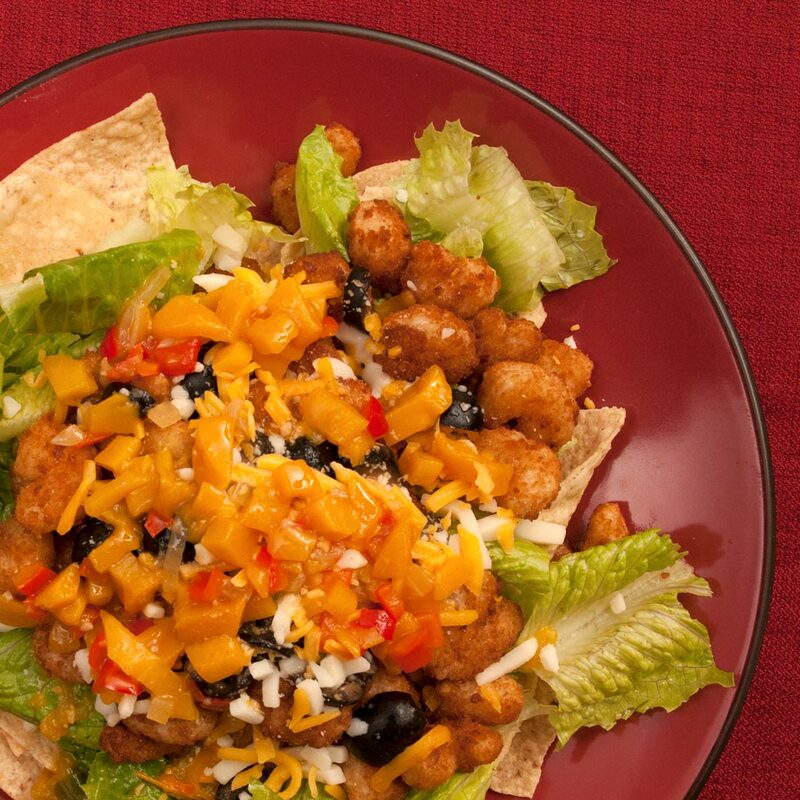 Tropical Mango Salsa - Mix together 2 mangoes, peeled, and diced; 2 tsp. dried ginger, 1 tbsp. lime juice, and 1/2 tsp. 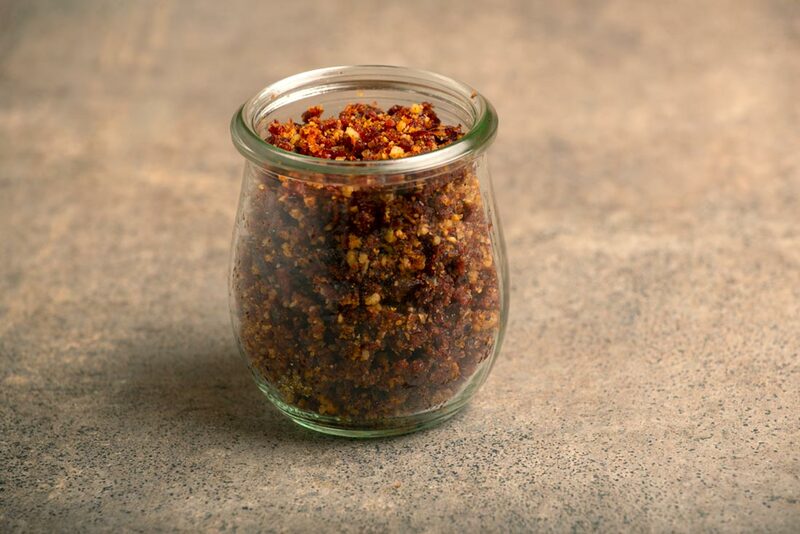 chili powder. This is more commonly called Pico de Gallo. Finely grate 2 tsp. orange peel from orange into a glass or ceramic bowl. Remove remaining peel and white membrane from orange and cut between the membranes to release the orange segments. Dice them and add to bowl. Gently mix in watermelon, jicama, red pepper, chili powder, lime juice, and cilantro. This salsa is really good at Thanksgiving dinners that have a Mexican touch. It is delicious on poultry. Puree ingredients in a food processor or blender and serve on poultry or pork. Donna Rouviere Anderson and Forrest Anderson are working on a photo-illustrated cookbook on cooking without tomatoes, for people who are allergic to tomatoes.